Corrib Self storage is a state of the art self storage centre now open in Galway. Our main objective is to offer you a safe and secure place in Galway to store your belongings at a very competitive price. 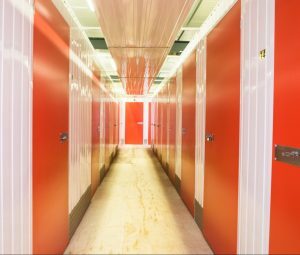 If you have a space problem, whether it is residential storage, commercial storage or document storage, we are here to offer you the best solution tailored to your specific needs. We will offer each of our customers a package that will be tailored specifically to solve their space problems. Our professional and friendly representatives will help you decide the best size unit for your goods. We can arrange for our storage consultant to visit it your home or office and give you a free no obligation quote. They will determine what size unit you will need. This will prevent you from renting a unit too large and save you money. Once you have agreed to the size unit you need we will provide you with a clean dry and most importantly a secure unit. You can either bring your own lock or purchase one from us either way you are the only person with a key and therefore you control who has access to your unit. Give us a call or visit www.galwaystorage.ie to find out why we are the best choice for storage in Galway.